Fysh Rutherford, (christened Graeme) was born in Melbourne, Australia in 1947. He studied a Diploma of Commerce at Swinburne Institute. He started his career as the co-creator and writer of the popular 1970s satirical comic strip ‘The Iron Outlaw’ appearing in Nation Review and the Sunday Observer. He has worked in advertising, commercial film production, graphic design and as a copywriter and advertising creative director. 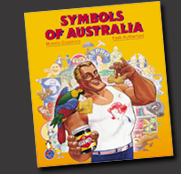 He has been responsible for creating a number of successful national advertising campaigns in Australia and in SE Asia. Fysh is currently a partner and Creative director of The Twenty 20 Communication Group, a Go-To-Market Strategy and Implementation company. He lives in Melbourne with his wife and two daughters and is contactable at fysh@twenty20.com.au.